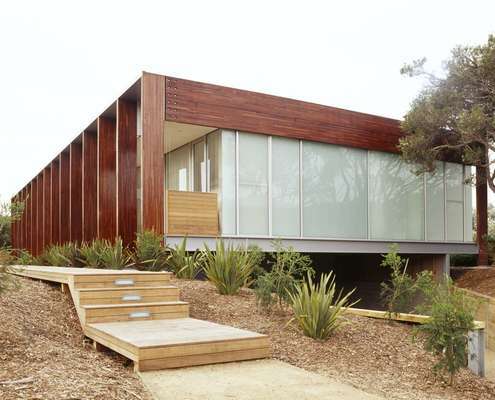 Mornington Peninsula is a peninsula located in the south-east of Australia on Port Phillip Bay. 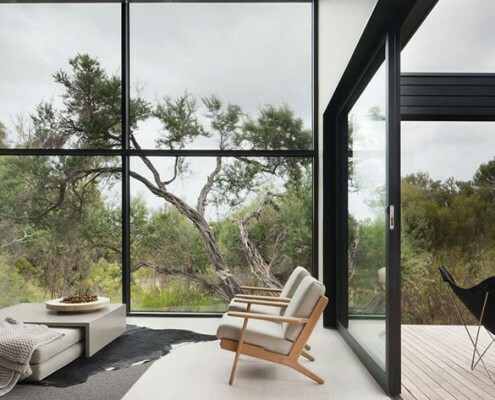 A number settlements dot the coast of the peninsula, including Mornington, Sorrento, Rye and Blairgowrie. 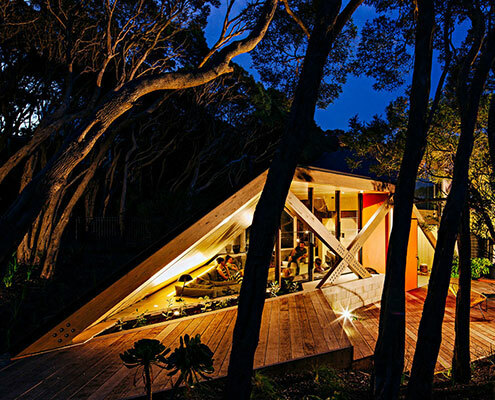 It is a popular holiday destination due to its proximity to Melbourne. 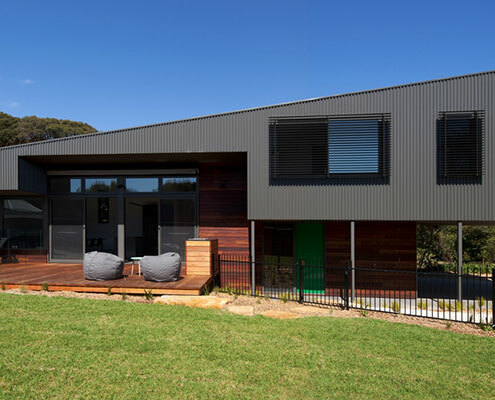 Beach houses on Mornington Peninsula range from modest fibre-cement shacks to elaborate multi-million dollar homes. 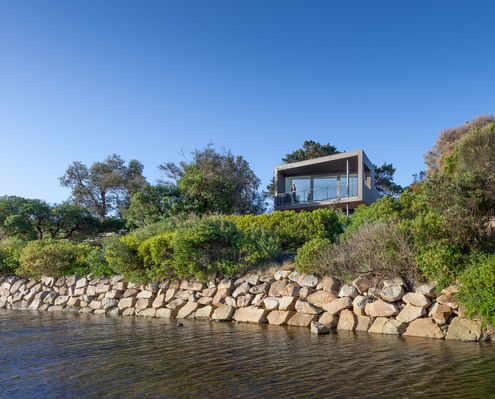 The peninsula has become an architectural playground - an excuse for inventive interpretations of the traditional Australian beach house. 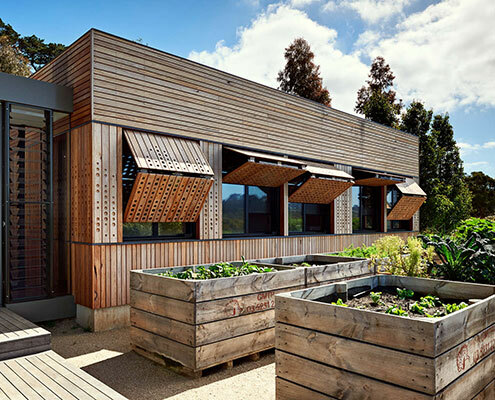 Pirates Bay House by O’Connor and Houle Architecture Pirates Bay House: A Holiday House for Slow Living Like the slow food movement, Pirates Bay House is a reaction against our hectic lives. 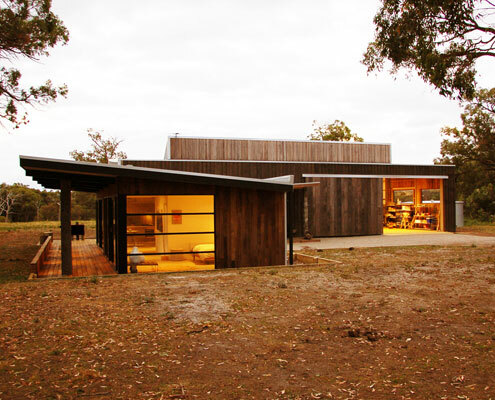 It's a home for slow living on Australia's Mornington Peninsula. 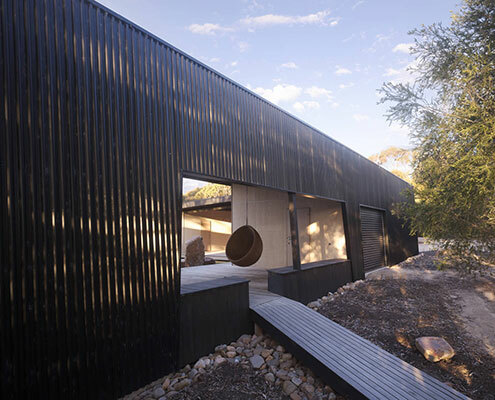 Über Shed by Jost Architects Über Shed: Sure It's a Shed, But Not Your Average Shed Über Shed is not *just* a shed. 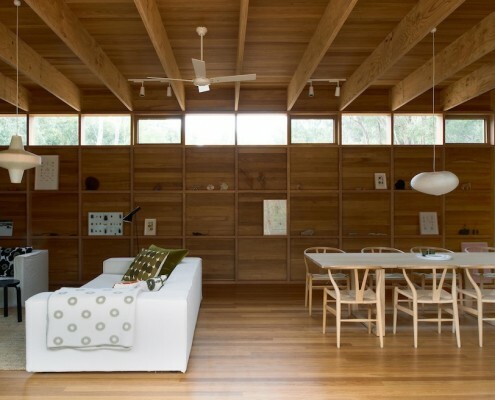 It's also a rural retreat that reinterprets the rustic charm of traditional agricultural sheds for modern living. 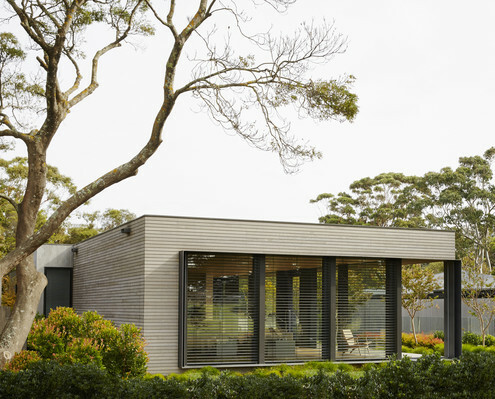 Sorrento House by ArchiBlox This Simple Modular Prefab Home Provides All the Essentials In One Neat Package This small house is sustainable, low-maintenance, affordable and it's pre-fab so it arrives (practically) ready to move into. 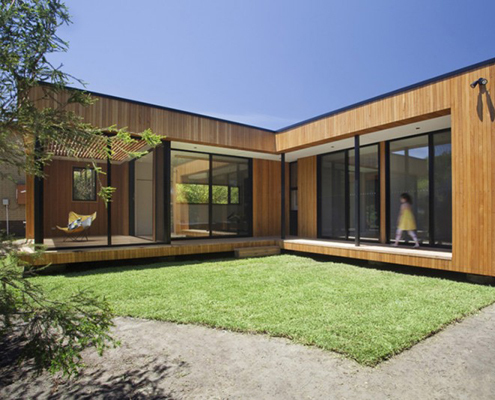 Hover House by Bower Architecture Hover House Drops in on a Disused Backyard Tennis Court in Mt Martha Hover House by Bower Architecture is built on a disused backyard tennis court in Mt Martha -- a great example of infill housing. 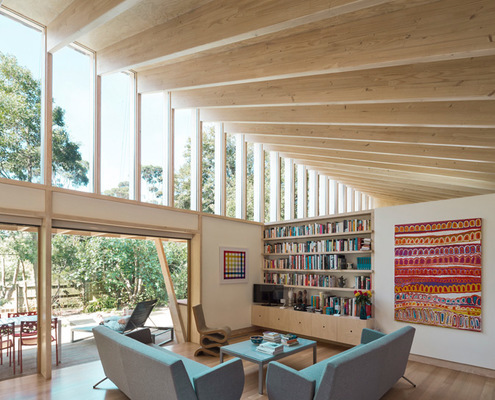 Cabin 2 by Maddison Architects Cabin 2: A Folding Roof Grows Out of the Coastal Topography Hidden and embedded into the landscape, Cabin 2 is a self contained extension to an existing 1960s log cabin in bay side Blairgowrie. 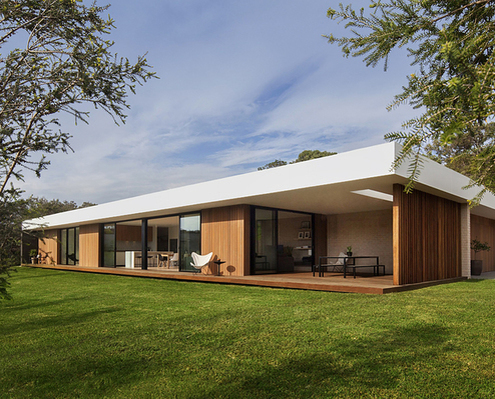 Fortress House by ITN Architects A Busy Family Find Peace and Quiet in Their Designer Fortress House There's no moat at Fortress House, but this quiet weekend retreat ensures a private, relaxing counterpoint to the owners' busy lives. 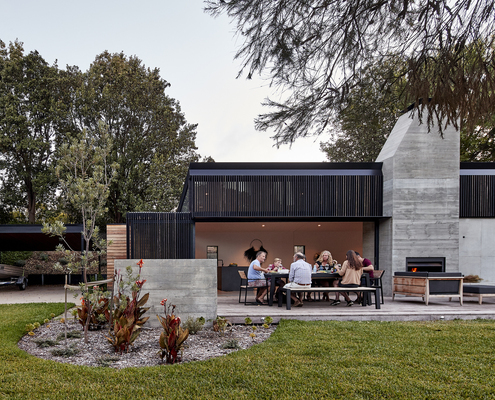 Somers Courtyard House by Opat Architects Somers Courtyard House: Low Maintenance Off-Grid Home for Entertainers Somers Courtyard House is a low maintenance home to accommodate an expanding family with regular guests. The best part? It's completely off-grid! 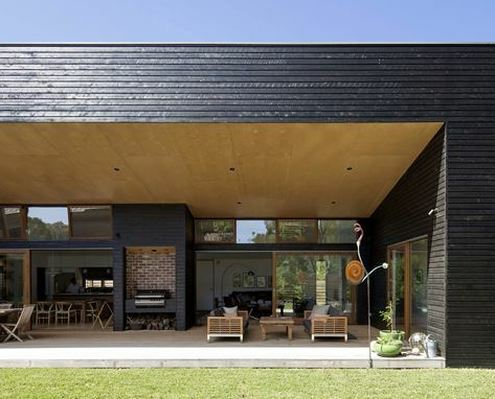 Tanderra House Sean Godsell by Sean Godsell Architects Tanderra House Pushes the Conventional Aussie Verandah to New Heights Sean Godsell Architects explore the traditional verandah to create a stunning beach home sheltered from the extremes of coastal life. Humbug Artist's Studio by Kebbell Daish Humbug Studio has Additional Space for the Artist's Family to Live At Humbug Studio the striped canvas However, these canvas stripes are in fact deck chairs from which to view paintings hanging in the studio. 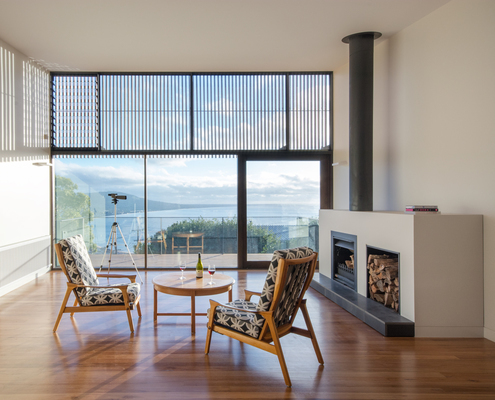 Blairgowrie 2 by InForm Timber and Glass Combine to Create a Stylish Coastal Modernity Timber's warmth and laid-back nature meets clean lines and expanses of glass to create a style that is sophisticated yet relaxed. 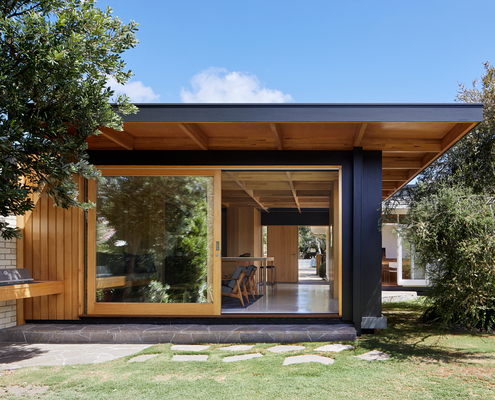 Links Courtyard House by Inarc Architects Links Courtyard House: Smaller Scale Allows Higher Quality Materials The timber-clad Links Courtyard House prioritises simplicity over size leaving more of the budget for beautiful indulgent finishes. 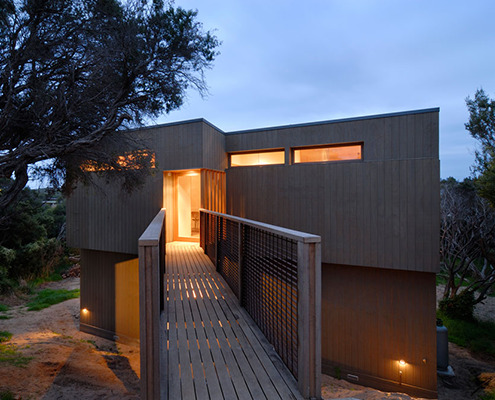 Martha by Ola Architecture Studio Perched on Top of the Sand Dunes for the Perfect Beach View This timber-clad four bedroom beach-side family home is perched on a steep dune in a quiet pocket of the Mornington Peninsula region. 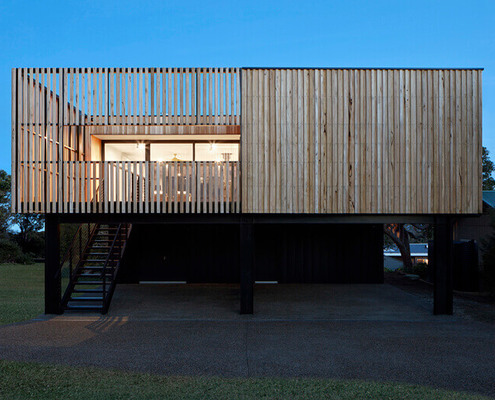 Peninsula House by Watson Architecture + Design Two Living Pavilions Under One Roof Open Onto an Outdoor Covered Deck The use of up to 75 per cent recycled timber as structure and cladding brings warmth and variety to this modern beach house. 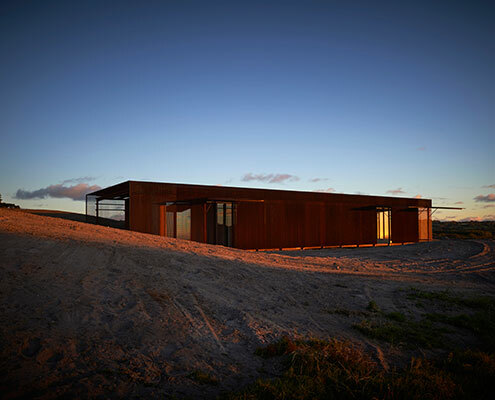 Residence J&C by Open Studio Architecture House Built on Top of a Sand Dune to Take in the Best View This two storey house near the beach was designed like an arrangement of stacked boxes to create protected balconies and decks. 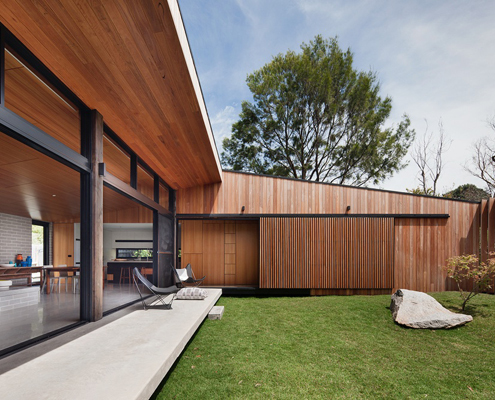 Dark Light House by MRTN Architects A Small Addition Creates a Home Greater Than the Sum of Its Parts Light and dark, east and west, new and old, Dark Light House's new living pavilion contrasts without simply doing the opposite. 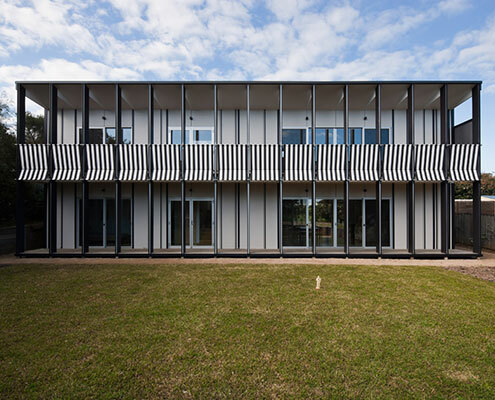 First Lessons House by Ray Dinh Architecture Getting the Basics Right Helps Architect Nail His First Solo Project The careful siting of this new home helps it take full advantage of the sun and embrace a beautiful, bushy site.